The Nigretta Falls Reserve is about 12.5kms north-west of Hamilton at the site of the former Nigretta Homestead overlooking the Wannon river. The total area now reserved is about 8 hectares and comprises some regenerated bushland, exotic trees and recreational facilities. The Nigretta run was typical for its sequence of ownership and the connections of its owners. The cottage, possibly built as early as 1848, was sited picturesquely. It fall into ruin by the 1930s is now gone. The older exotics survive from the original garden. The Wannon and Nigretta (or Upper Wannon) Falls have been the consistent subject of significant art including works by some of Australia's most celebrated colonial artists, such as Nicholas Chevalier, Eugen von Guerard, Louis Buvelot, S. T. Gill and Thomas Clark. From the earliest times, tourists would stay at nearby Redruth and visit both falls. The Nigretta Falls Reserve was gazetted in 1912. It has been managed jointly with the Wannon Falls Reserve under a committee of management. The Reserve has been developed over the years, with changes reflecting different values and fashions. A grove of Golden ash trees continues the Picturesque tradition. In the later twentieth century, there has been an emphasis on native plantings. Most recently, the facilities have been modernised with a contemporary concern for environmental values. The Reserve is substantially intact and in good condition. 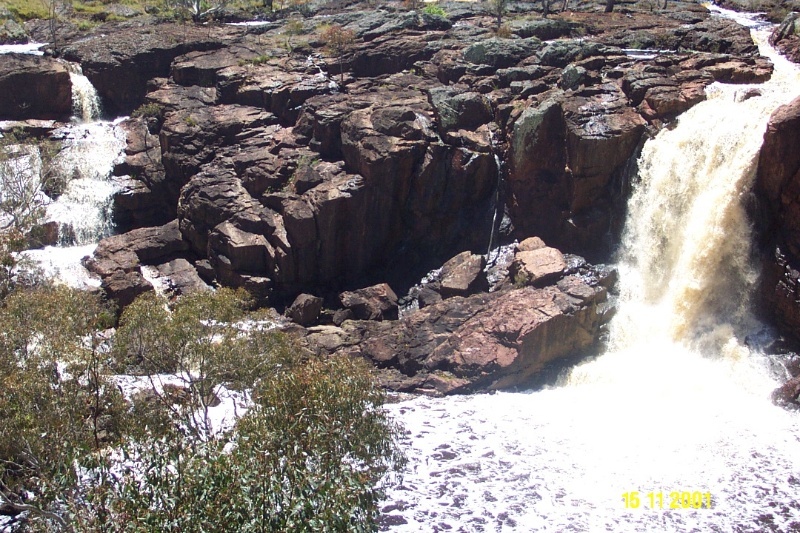 The Nigretta Falls Reserve is of historical, social and aesthetic significance to the Southern Grampians Shire. The Nigretta Falls Reserve is of historical significance as the site of the former Nigretta Homestead and as an early beauty spot and tourist destination established in the Western District. It is of social significance as a recreation reserve. It is of aesthetic significance for its long association with Picturesque sensibility, the dominant aesthetic in colonial Victoria, which continued well into the twentieth century. It is the subject of much significant art. 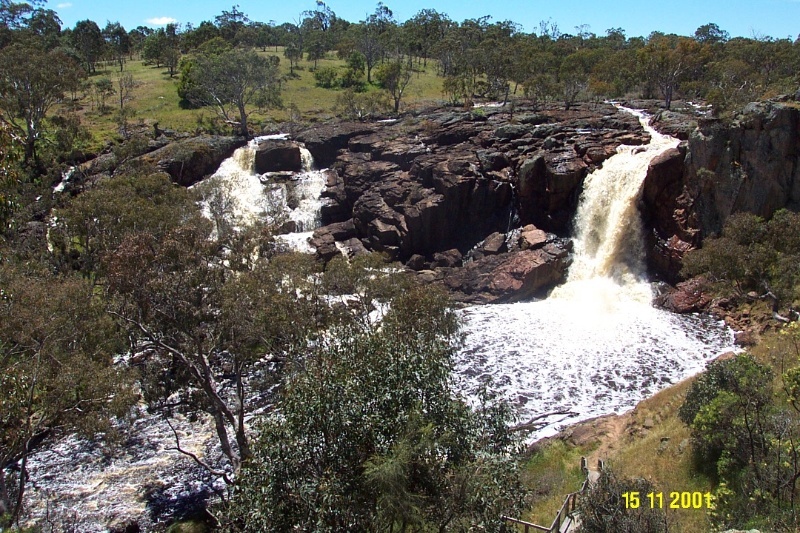 The Nigretta Falls Reserve is of significance as a comparative pair with the nearby Wannon Falls Reserve. The reserve remains relatively intact to its 1960s stage of development and includes new facilities. The original homestead site has significant archaeological potential. 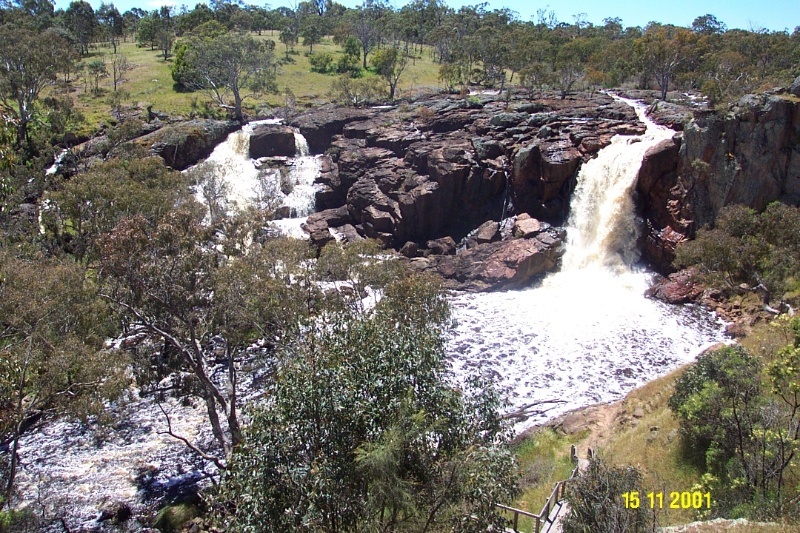 The Nigretta Falls Reserve is located on the north side of the Wannon-Nigretta Falls Road off the Glenelg Highway, about 12.5kms north-west of Hamilton at the site of the former Nigretta Homestead and overlooking the Wannon river. The site of the original Nigretta squatting run homestead is located facing the Fisherman's bend, slightly upstream from the Nigretta falls. Although there is no physical fabric remaining on the surface, it is expected that the site will have rich archaeological potential. In the 1930s it was said that visitors on their way to the falls passed the ruins of an old stone house (probably that built by Thomas Murphy between 1848 and 1860). The lower walls were dressed sandstone and the upper walls were iron stone mortared together. At this time, the door and window frames were intact and part of a chimney stood. The site was also known for the Iris which flowered prolifically in Spring. The total area reserved is about 10 acres or 3.75 hectares. 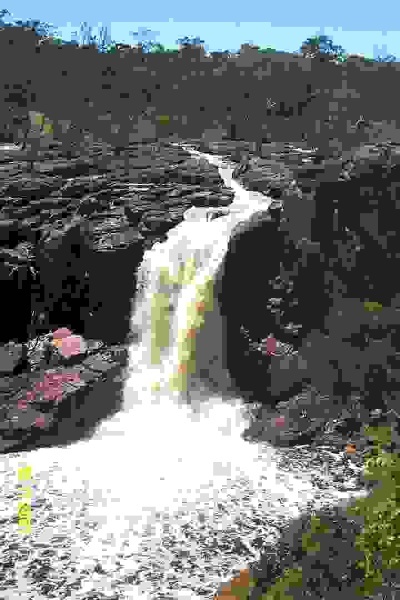 The falls are generally in two main cascades emptying into a large pool. The flow is very variable according to the seasons. Access to the falls is provided in the form of paths and viewing platforms. Bush land is regenerating around the watercourse. The older exotics survive from the original homestead garden and include Pear trees (Pyrus communis) and a Radiata Pine (Pinus radiata). The newer exotics planted as part of the beautification of the reserve includes a grove of Golden Ash (Fraxinus excelsior) and a row of Plane trees (Platinus x acerfolia). The planting of trees in a grove harks back to the Picturesque landscaping tradition of the eighteenth century. The amenities include picnic and barbecue facilities and a new toilet block. There is a circular drive through the reserve. Alexander Cameron, seventh and final leaseholder until 1866, when forfeited. Thomas Clark (1814-83), English born artist and landscape painter.